OAB File Converter is a software to export OAB file to Excel/PST/CSV. It is having complete potential to convert files having .oab extension into any one of the three file formats. 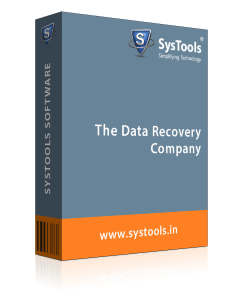 The product guarantees that without compromising any loss in data of contacts, one can convert offline address book to PST/CSV/Excel. The OAB to PST Converter will export offline address book of Outlook to personal storage format. This technique will fix problems related to OAB file because this file is generated from the Exchange server, which might not work properly. Therefore, to view OAB files effortlessly in Outlook, users can create a PST file and hence, view address book without any complications. Apart from accessing OAB file on Outlook, users can also operate this contact file on other system programs and such scenario is possible by saving OAB file in CSV file format. The data will be saved in tabular form with entire contacts record of source OAB file. Users can convert OAB file to CSV with help of OAB file exporter and then access this file on any operating system/computer programs, which supports CSV file. OAB converter provides an option to convert OAB file to Excel. This utility exports all the files of Microsoft Outlook offline address book without any hanging situation to Excel. In addition, one can save resultant file on desired location with a customized name. An OAB file of any size or number can easily be converted with help of this software. After the conversion of OST file to PST, this tool allows users to save resultant PST file at desired location on their machine and it also provides an option to create a new folder by clicking on Make New Folder button to save Output PST file. This OAB file exporter software generates a final report after completion of conversion from Outlook OAB to PST/Excel/CSV. This report can be easily be operated by a user for future reference and can be viewed in applications that supports CSV file. Q. 1. How to import an OAB file of Outlook 2007 in Microsoft Outlook 2010? Ans: OAB file is an Offline Address book from an Exchange account. Therefore, to open OAB file in Outlook, which is not connected to its server, users need to convert OAB file to PST with help of OAB to PST converter. After successful conversion, import converted PST file in Outlook and view contacts in it. Q. 2. Will your software convert OAB file in such a file format, which does not require Outlook for opening its content? Ans: Yes, software provides Excel and CSV file options to convert an OAB file. You can choose any one of the two and then, view file even in absence of Outlook. Q. 3.Is OAB to PST Converter compatible on Mac operating system? Ans: No, our OAB to PST converter converts OAB file into PST format only on Windows operating system. Software is compatible with all versions of Windows i.e., 10, 8.1, 8, and below. Q. 4. What is the file size limitation of OAB file while using your converter? Ans: There is no file size limitation imposed in our software. Users can convert file of any size without any boundations into desired file format. Copyright © 2007-2019 SysTools India All rights reserved.